Agave syrup is a liquid sweetener 1.4 to 1.6 times sweeter than sucrose (table sugar) derived from agave plants. Agave syrup has a lower glycemic index than sucrose, similar to that of fructose. 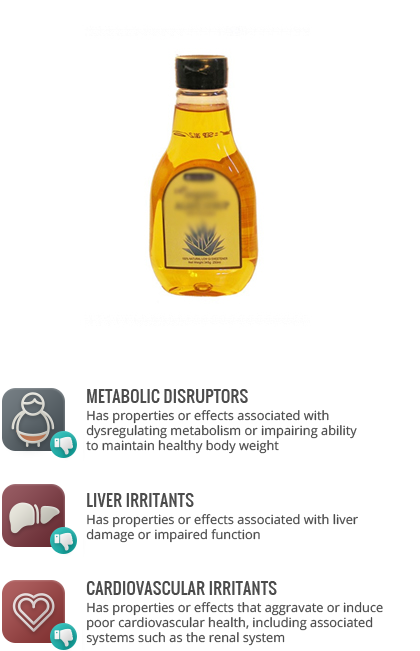 Agave syrup itself is very high in fructose. Agave is not a significant source of antioxidants, containing far less than brown sugar, maple syrup, molasses, and other alternative sweeteners. See: Fructose. Agave nectars typically contain more fructose than high fructose corn syrup, and are produced in a similar fashion to high fructose corn syrup via multi-stage chemical and physical conversion of the inulin-rich agave root.